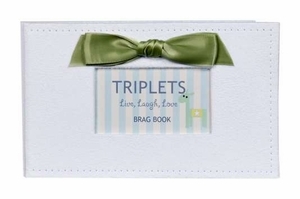 Part of the fun of having triplets is bragging about them! Here's a classy, handy-dandy way to do just that. A perfect gift for a baby shower!